This stylish Ren-Wil Istanbul area rug is a high quality dicor option. Quality meets modern style in this indoor rug made out of plush wool material. Modern style and construction is combined in this hand-made rug. Add this oriental patterned grey rug to the dicor of your home for a contemporary infusion. Place this Artistic Weavers Central Park Abbey area rug in your dining room when you need a splash of style. Contemporary dicor is made simple with this indoor piece, made of plush wool material. The hand-made construction of this area rug is sure to withstand wear and tear. This green rug with its trellis pattern is modern and stylish. Include this Artistic Weavers Oscar area rug in your hallway, dining room, or living room dicor for a taste of modern style. Great quality is assured with this indoor piece made out of plush wool material. Contemporary comfort comes in the form of this hand-made rug. Upgrade the dicor of your modern home with this geometric patterned grey rug. This modern Artistic Weavers Westminster Spa area rug will instantly improve any room you place it in. Bring this high quality plush wool indoor rug into your home to upgrade your interior design immensely. A durable product is assured with this hand-made rug. This floral plants patterned grey rug makes a contemporary mark on your home's interior design. This Artistic Weavers Yevres area rug adds a touch of modern flair to the design of any area in your home. Crafted to be an indoor piece, its plush synthetic material is unique and comfy at the same time. This machine-made rug makes long-term decorating easy. Quality interior design comes in the form of this oriental patterned blue rug. Istanbul Grey 5 ft. 2-inch x 7 ft. 6-inch Indoor Traditional Rectangular Area Rug This stylish Ren-Wil Istanbul area rug is a high quality dicor option. Quality meets modern style in this indoor rug made out of plush wool material. Modern style and construction is combined in this hand-made rug. 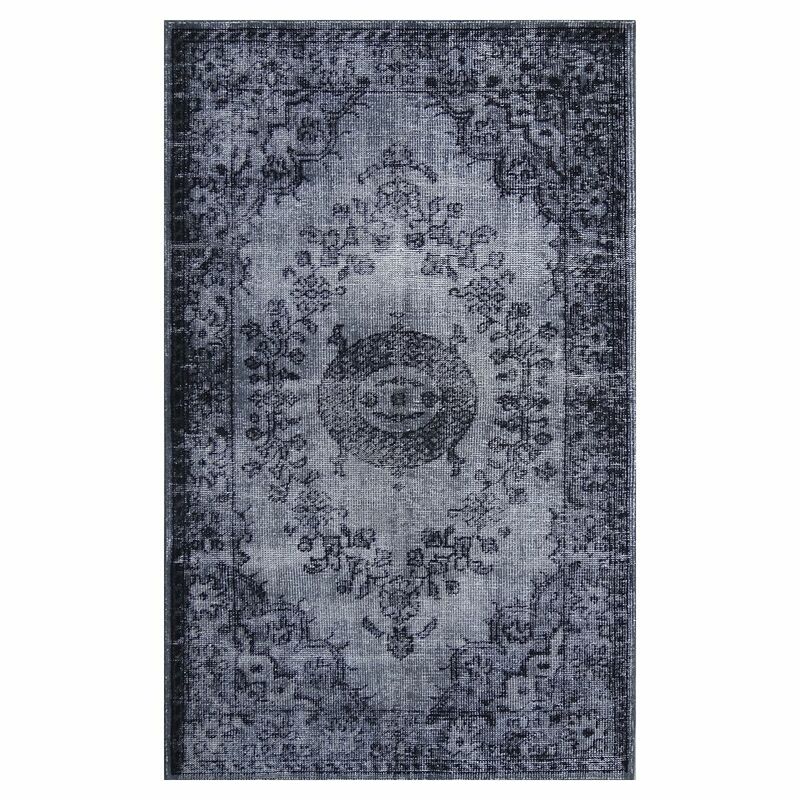 Add this oriental patterned grey rug to the dicor of your home for a contemporary infusion.